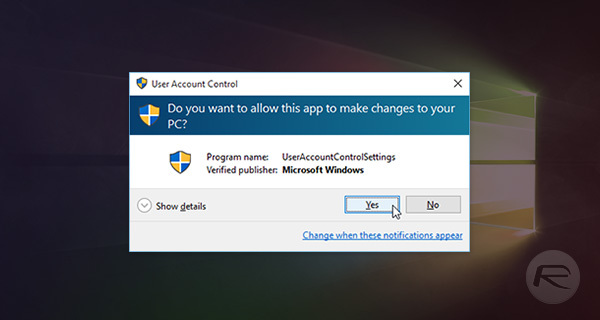 The User Account Control, also knows as UAC, feature of Windows isn’t a new thing and is designed to stop applications from making changes to the system without the user knowing. 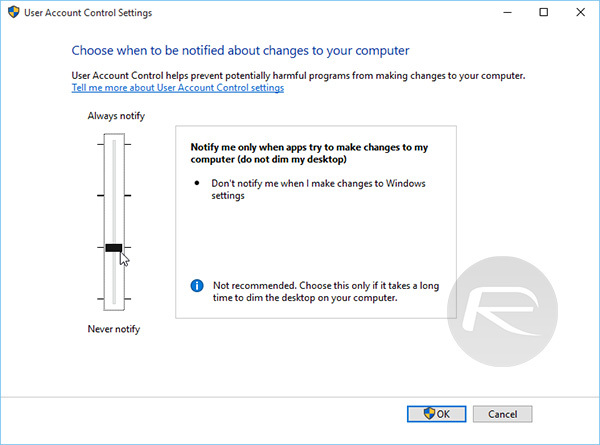 That’s great, and we’re all for added security, especially when it comes to Windows machines, but as was the case in older versions of Windows, Windows 10’s default settings have User Account Control being a tad keen, taking over the desktop each and every time you try and do the simplest of things. It’s an irritation, and irritating security features have a tendency to either be completely turned off, or just blindly ignored. Neither of those outcomes are for the best, so here’s a way to do the grown-up thing and tweak the settings so that UAC doesn’t get in the way when you’re going about your business. 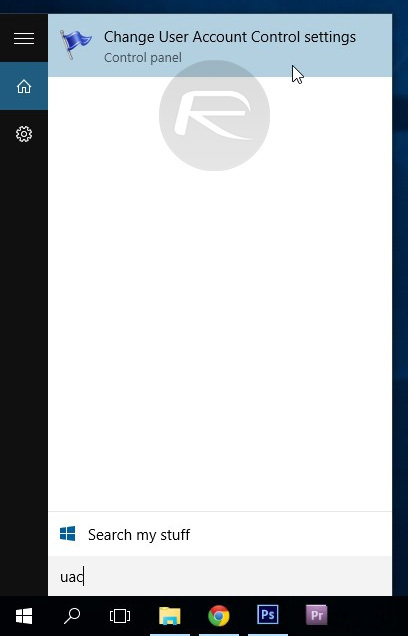 Step 1: Open the Start Menu or directly launch Search and type “UAC” or “User Account Control”. 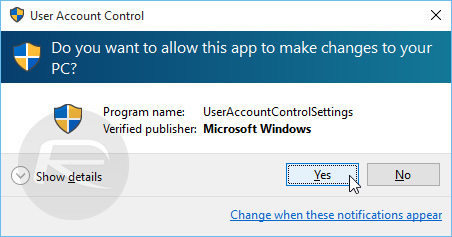 Step 2: Select “Change User Account Control settings” from the search results. You can find the same section in Control Panel > User Accounts > User Accounts. Step 4: Click OK and confirm. That’s it, you shouldn’t see UAC taking over the system anywhere near as often as it was before. This change obviously makes your system less secure than it was before, though just how much of a difference we’re talking about here depends on your point of view. If you’re one to blaze through system prompts if they don’t occupy the entire screen until they’re dealt with, then doing this might actually increase chances of you accidentally letting something malicious slip into your system. We’d rather have security stay out of the way as much as possible, and with UAC making itself known far too much at its default setting, we’d rather see it take a backseat a little. We suspect we’re not alone in that regard. “and we’re all for added security…” But let’s cripple it anyway. It does it this way to make sure that the user pauses to read it. Actually, it does it this way because the window pops up in the deskop of a virtual user with administrative priviledges, so it’s basically another user with access to the system. Yeah, you’re right. This is not new !! !